You've met my Hadley before, right? Adorably cute? Check. Sweetest disposition ever? You bet. Fussy eater? That's my girl. Well, are you going to open this bag or not? Before I got her I read lots of books and articles about raising a puppy and I remember one that said you should eat first and only feed your dog when you're done so they know who's in charge. Well, I've had her for six years now and I can tell you that whomever wrote that clearly doesn't have a dog. In this house, we eat our meals together, usually followed by some snuggles and then one of us has a nap. I wish I could join her for that. I've been taking full advantage of the farmer's market and dinner the other night was a big salad loaded with heirloom tomatoes, carrots and local baby spinach. Hadley, always assuming what's on my plate is better than what's on hers, came sniffing around so I gave her a piece of spinach. She sniffed and turned away. The carrot piece at least got a taste before being spit out. 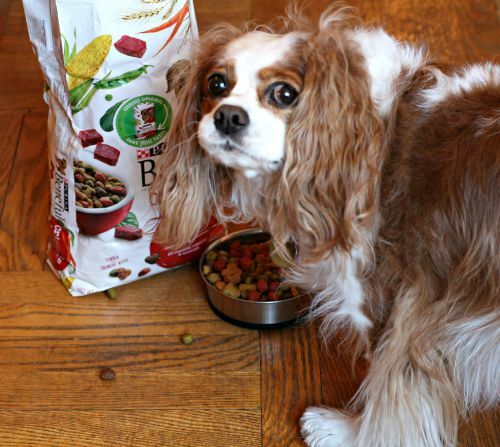 Ironically, all those same ingredients were in her bowl of Beneful but clearly much more appealing. When I filled her bowl with the food, she sniffed, tasted and dove right in. Yes, she actually preferred her own food to mine. No, mommy, I can't look at the camera right now. I'm busy. Can you please stop taking pictures and let me eat? 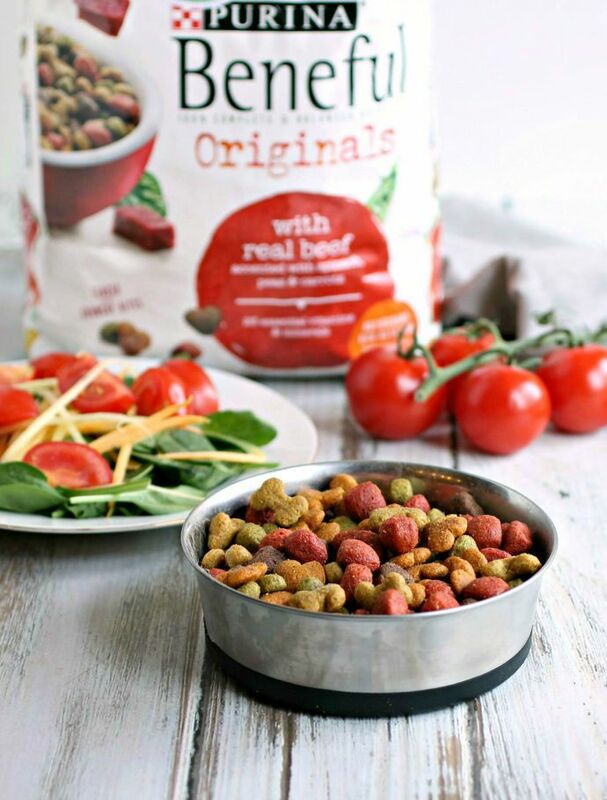 And no wonder because her bowl of Beneful (the Originals formula for my girl) includes beef and vegetables such as carrots, peas and spinach. 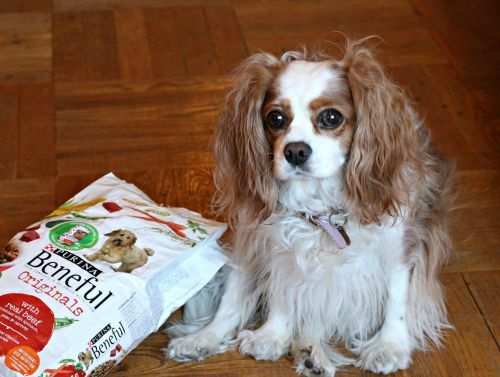 It's rich in anti-oxidants and filled with all the nutrition she needs every day. And she absolutely loved all the different crunchy bits. She's always been a fussy eater so it makes me so happy to see her enjoy her food. I love my girl very much and sharing food, giving her treats or eating together is definitely a bonding time with a pet. After our Dinner for Two, I did get some extra snuggles although I'm pretty sure she wants me to stop annoying her with photos. No chance of that happening, though. I mean just look at that face! 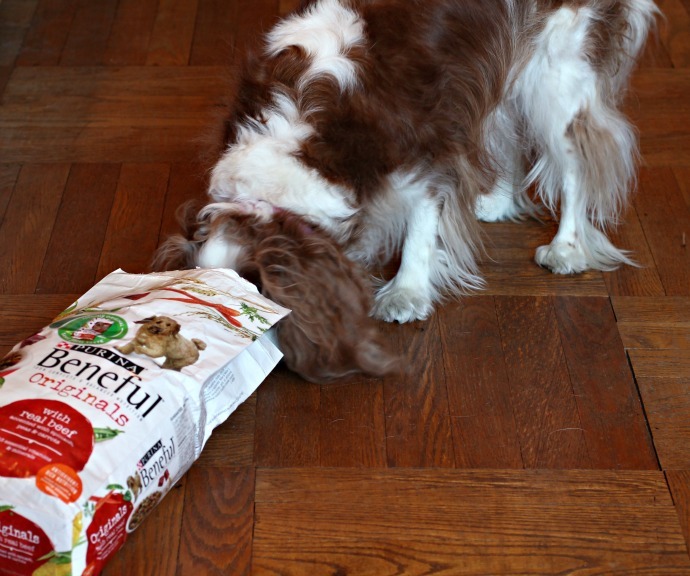 For more information about Purina Beneful and their Dinner for Two, check out their web site. 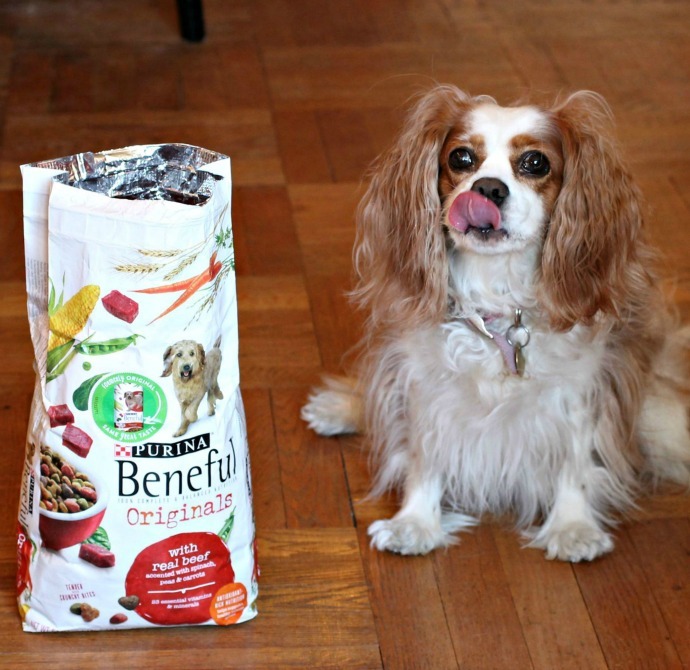 This is a sponsored conversation written by me on behalf of Beneful. The opinions and text are all mine. Hadley is so adorable! 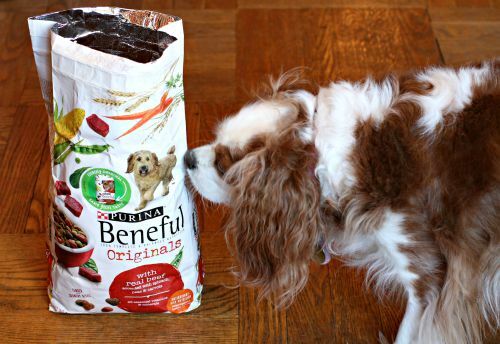 Our dog Jack eats Beneful too. Once we got the wrong kind and I ended up giving it away because he wouldn't eat a bite of it - I had to send my husband out in the rain to get the right kind. Like you, there is no way he would ever wait until we finished dinner to eat - we would never have a moment's peace.